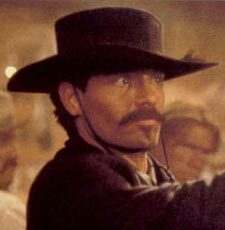 Although the movie Tombstone (1993) (Buy it on DVD or Blu-ray) has a lot of historical inaccuracies, it is still a great movie. If you haven’t seen it, you really need to check it out. Here’s my favorite scene from the movie. It involves the first meeting of Johnny Ringo and Doc Holliday in the Oriental Saloon. Holliday: “That’s latin darlin’. Evidently, Mr. Ringo is an educated man. Now I really hate him. At this point, Ringo draws his gun and puts on a show for the bar which draws Doc to do the same, only he decides to mock Ringo by using his tin cup rather than a gun. I’m not sure if this is a portrayal of any actual events, but I do know that it’s a powerful scene where two big characters establish their tone throughout the remainder of the film. Holliday: “Weave a circle round him thrice and close your eyes with holy dread. For he on honey-dew hath fed and drunk the milk of Paradise. This line is from a poem written in 1797 by Samuel Taylor Coleridge called Kubla Khan. It’s the last stanza that Doc is reciting here and it’s said that Kubla Khan (Genghis Kahn’s grandson) had some ten thousand horses on his land to convey his power. Only he and those committing miscellaneous acts of valour were allowed to drink their milk thus becoming the milk of Paradise. In Tombstone, Doc is simply saying that if Wyatt is able to obtain a reckoning for his brother’s deaths, he’ll finally be able to enjoy the rest of his life. Another note of interest is that the poem was supposedly written out of inspiration from an opium-induced dream. 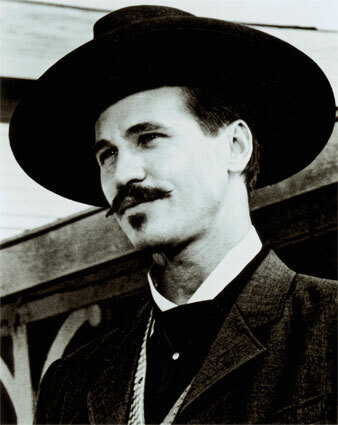 It’s likely that Doc Holliday was also under opium influence during this scene.